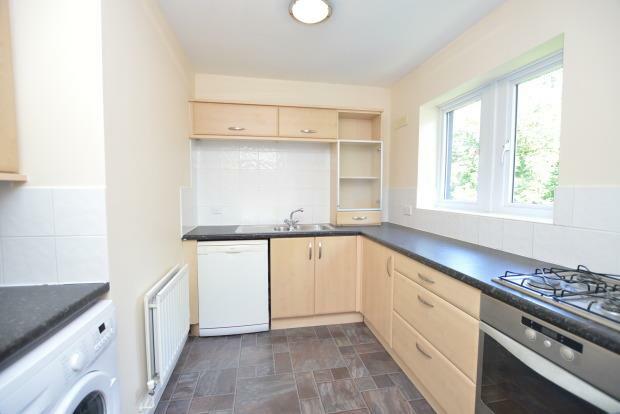 2 Bedroom Flat To Rent in Wakefield for £550 per Calendar Month. The hallway has brand new oak effect laminate flooring and gives access to all rooms along with two storage cupboards, one which houses the central heating boiler. A good sized lounge being newly carpeted, neutral decoration, double glazed uPVC windows and gas central heating radiator. The apartment offers a seperate kitchen offering a good range of wooden wall and base units with black marble effect working surfaces, gas hob, electric oven, fridge freezer and washing machine. Bedroom one is a good sized double room with juliette balcony with white uPVC full length patio doors to front, central heating radiator and brand new carpet flooring. This bedroom benefits from an en-suite shower room complete with a corner shower cubicle with electric shower, white wash basin and pedestal WC. The second bedroom again with neutral decor and new carpet flooring, uPVC double glazed window, radiator and fitted carpets. The apartment bathroom comprises white three piece suite comprising low flush WC, pedestal wash handbasin and panelled bath. White decoration. Externally there is allocated parking available and communal gardens to enjoy.